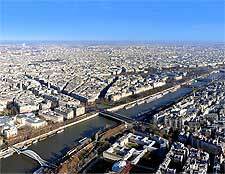 Founded in the 3rd century BC, Paris started out as a fishing village, inhabited by a Celtic tribe known as the Parisii. It's widely thought that the first settlement was on the site now known as L'Ile de la Cité. Julius Caesar's legions of Roman soldiers arrived in 52 BC. 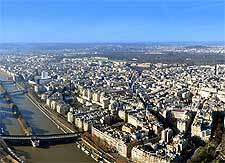 The Roman settlement, which became known as Lutetia, grew up around the hilly area of the Left Bank of the Seine. By the 5th century, however, Roman rule in the city had finally collapsed. 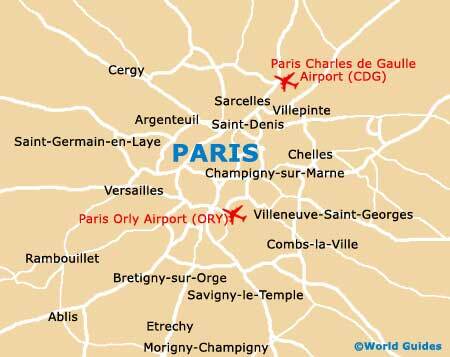 In 508, the Frankish King Clovis I named the city - now known as Paris - as his capital. Although the title of capital city was lost to Aachen for a time, it returned in 987, with the coronation of Hugh Capet as King of France. As a royal capital, Paris also flourished as a religious and cultural centre. 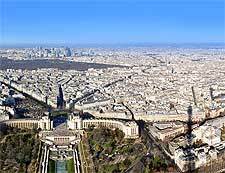 From the 12th century, Paris rapidly expanded, with recognizable districts emerging, including the Ile de France and the Left and Right Banks. The medieval period also saw the arrival of some of the city's great Gothic churches. In 1144, work on the Basilique Saint Denis was completed and 20 years later, work on Notre Dame Cathedral began. The 14th and 15th centuries were troubled times in the history of Paris, with the city beset by outbreaks of plague, and civil and religious violence. Then, in 1594, Henry IV came here as the newly crowned King of France. His arrival sparked off a period of renaissance for the city. A number of large public works led to the transformation of the city into a place where the arts and sciences could flourish. By the mid-18th century, Paris was home to over half a million people and a brand new palace had been built at Versailles. The city was widely regarded as the centre of Western intellectualism and culture. On 14th July,1789, all this was brought to and end with the outbreak of revolution in Paris. The revolution, and the 'reign of terror' that followed, led to the devastation of the city, with palaces, homes and churches destroyed in great numbers. By the mid-19th century, the city had become a muddle of overcrowded and unsanitary medieval streets. Emperor Napoleon III took on the task of renovating the city, choosing Baron Haussmann as his architect. Haussman succeeded in transforming Paris into a city of stone apartment buildings, and added tree-lined boulevards and a more modern sewer system. The Belle Époque was the real golden age, with the construction of the Eiffel Tower and the city's Metro system. During the early 20th century, the city also became a centre for experimental art, including that of Dali and Picasso, and literature. In 1940, Paris was invaded by Nazi Germany, marking the start of four years of occupation. The city was finally liberated by Allied Forces in 1944. Post-war Paris recovered quickly. The French capital has been at the centre of many political events since, including the 1968 student uprising and the riots that broke out in 2005.